Rockstar Capital wants to make an impact in the fight against breast cancer in a different way. This will be our 3rd year walking for the cure shutting down the streets in downtown Humble where we raised $10,000. We have created our own fundraiser! We want to help Susan G. Komen save lives and end breast cancer forever. 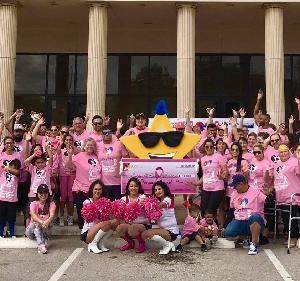 Help us take the first step towards a world without breast cancer by raising funds to stop this disease that affects 1 in 8 women during their lifetime. As the world’s largest and most impactful breast cancer organization, Susan G. Komen supports more breast cancer research than any other nonprofit, while providing real-time help to those facing the disease.